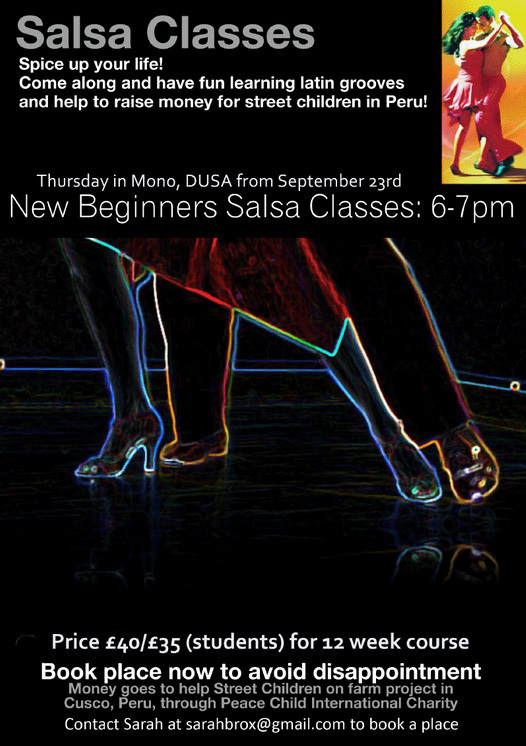 Beginners Salsa classes start in Mono, Dundee Uni union on Thursday Sept 23rd, 6- 7 pm for a 12 week block, email sarahbrox@gmail.com to reserve spaces. All money raised goes to support the Azul Wasi project in Peru for street children. Payment for classes on first night for block £35 ( stu), £40 (non stu). Please pass the word & print off a poster & pop up somewhere if you can.